Taipei, March 25 (CNA) Taiwan has the lowest fertility rate in the world at 1.218 children per woman, according to a recent report by the World Population Review, which the Taiwan government challenged. In the Fertility Rate by Country 2019 report, Taiwan appeared at the bottom of the list of 200 countries that was published by the World Population Review based in California. Other countries with total fertility rates similar to Taiwan's 1.218 children per woman were Moldova (1.23), Portugal (1.26) and Poland (1.29), according to the report. In a press release, however, Taiwan's National Development Council (NDC) said the rate for Taiwan did not match its data. Taiwan government 2018 statistics showed the country's total fertility rate (TFR) at 1.06, the NDC said, arguing that although the rate was lower than in the World Population Review it was not the lowest in the world because data from South Korea showed a TFR of 0.98 last year. While the NDC was citing South Korea and Taiwan data for 2018, the World Population Review's report was based on 2017 data from the United Nations. 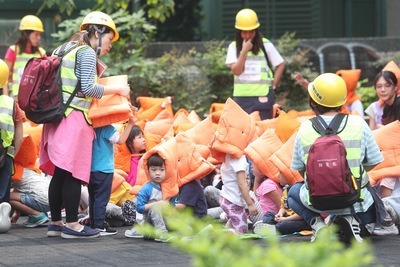 In its press release, the NDC said the Taiwan government is making efforts to improve the environment for raising children with an aim of increasing the country's TFR to 1.4 by 2030. According to the World Population Review report, the birth rate in Taiwan is now below the rate needed to sustain its population growth, which currently hinges on increased longevity. Taiwan's current population is about 23.76 million, the 56th largest in the world, the report stated, forecasting that the figure will peak in 10 years to 23.4 million then begin to decline. The median age in Taiwan is 40.7 years, which means half of the population is over 40 and will soon be out of the workforce, the report said. As of February 2019, the total world population was just over 7.71 billion, and the five countries with the highest fertility rates were Niger (7.153), Somalia (6.123), Congo (5.963), Mali (5.922) and Chad (5.797), all in Africa, according to the report. In Asia, the Philippines ranked 65th worldwide with a TFR of 2.882, Japan 179th (1.478) and South Korea 194th (1.323), the report showed. India (2.303) and China (1.635), two of the most densely populated countries in the world, ranked 94th and 164th, respectively. The World Population Review said the data for China and India likely reflected government policies and cultural expectations concerning reproduction. The highest fertility rates in Europe were in Ireland (1.98) and France (1.973), while the United States had a rate of 1.886 and ranked 135th on the list, according to the report.